Africa needs to do more to translate its commitments to social protection into practical programmes that reach the poorest and most marginalized children, participants said today at the conclusion of the African Union Expert Consultation Meeting on Children and Social Protection. From the 2004 Ouagadougou Declaration to the 2008 African Union Social Policy Framework, African Union Member States have all made political commitments to social protection. A decade later, social protection schemes are expanding across the continent: almost every country in Eastern and Southern Africa has developeda social protection policy, and an increasing number of countries in West, Central and North Africa are embarking on similar exercises. Despite this, challenges are immense. 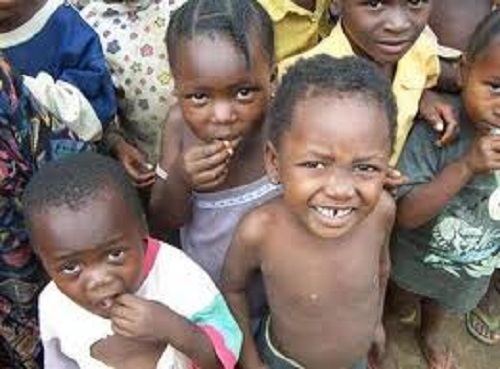 Millions of African children continue to live in poverty and are yet to benefit from the continent’s economic growth. During the three-day consultation, entitled Children and Social Protection Systems: Building the African Agenda, 78 government representatives and social protection experts from 40 African Union Member States discussed the current state of social protection in Africa. They looked at existing evidence on impacts and key lessons learned, and presented recommendations to help countries develop and strengthen their social protection systems. Some of the recommendations include: ensuring a minimum social protection package in every country; developing social budgets that reflect on a country’s growth and expenditure; institutionalizing social protection measures in national policy, legislation and development plans; and committing a share of GDP to social protection, while ensuring social spending is shielded in times of crises and budgetary austerity. The Expert Consultation found that there is plenty of evidence to demonstrate that social protection can and does work in Africa. The Child Support Grant of South Africa is just one such example. First introduced in 1998, the grant has become the country’s largest social assistance programme, reaching over 11 million vulnerable children with US$28 per child per month. A recent South African Child Support Grant Impact Assessment shows that the grant has not only made a positive impact on poverty reduction, but helped break cycles of poverty. Against a robust body of positive evidence however, social protection systems in many countries are still challenged by fragmentation, low coverage, and limited linkages with other services. Overall spending remains low in comparison with the rest of the world. The estimated cost of a social cash transfer programme, for example, ranges from just 0.1 to 2 percent of GDP for most countries. For countries such as Eritrea, Liberia, Burundi, Zimbabwe and the Democratic Republic of Congo the cost of the cash transfer ranges between 2.3 and 4.5 percent of GDP. The participants also called for increased involvement by the African Union and development partners in the social protection arena, asking them to put social protection for children high on their development agenda. Their recommendations will be presented for consideration during the African Union Conference of Ministers of Social Development, which will be held from 26 to 30 May 2014, in Addis Abba, Ethiopia.